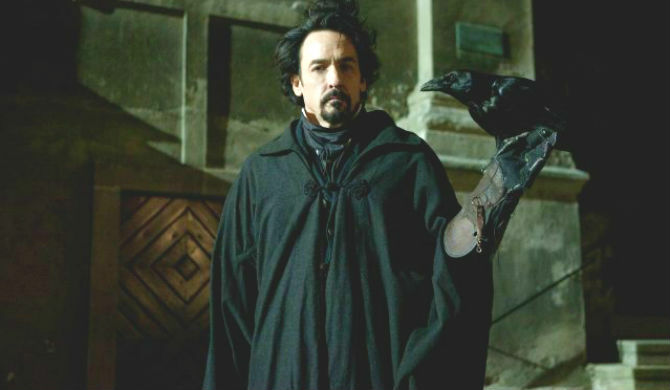 John Cusack stars as none other than Edgar Allan Poe in The Raven, set to be released March 9, 2012. Poe helps a young detective (Luke Evans, rising star of Immortals and The Hobbit) track down a serial killer, inspired by Poe's writings. This sounds somewhat Sherlock Holmesy, but in the land of stale remakes, it's somewhat refreshing. Side note: I still can't believe they're remaking Footloose. I'm not sure if the first Footloose should have been made, let alone the second. Moving on, set in Baltimore and directed by James McTeigue (best known for V for Vendetta and Ninja Assassin), this film is sure to create buzz. The stars of the film will be at Comic Con promoting it in July. I don't know when Comic Con became obligatory for movies (of every genre), but at some point I guess it did. We will know more when the trailer comes out. I love John Cusack! Another movie that sounds like it'll actually be great, especially if they lay off the overly annoying CGI & what not. I completely agree. Too much cgi is a bad thing. Sometimes I wish they would go back to "old fashioned" movie making, i.e. makeup and real special effects.